Oh What A Sigh Of Relief. Finally It Is The Weekend Aren’t these the words you say on every Friday of the week? Now after a tiring six months you take that holiday which you feel is very necessary to recharge your batteries. Most of us Indian’s head to the beaches of Goa , Taj Mahal at Agra and Kerala known as " God’s Own Country " for its unique ayurvedic treatment, Munnar a hill station, and a trip on the houseboats. In Tamil Nadu we have Kanyakumari famous for its scenic sunset and its majestic sea view. Maybe you plan to go on a visit to the famous temples of India in Mumbai, Bangalore, Orissa or Tirupati. This reminds me of the famous saying " You Get Educated By Travelling ". What Is Leave Travel Allowance? 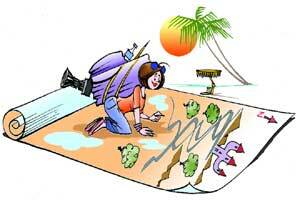 Leave travel allowance is obtained by the Employee from the Employer for vacation travel. In order to obtain leave travel allowance the employee needs to actually travel. A businessman or a self employed person cannot pay himself leave travel allowance. This covers only travel expenses and not boarding, lodging, food and shopping. Some companies give Leave Travel Allowance even to ex-employees after they have quit the organization. Tax deductions are available for leave travel allowance. (a) On leave to any place in India. (b) To any place in India after retirement from service or after termination from service. What Do I Need To Know About Leave Travel Allowance? When an employee travels in India with his family he is provided leave travel allowance which is a part of his salary. This helps to cover the expenses incurred during the course of his travel with his family. This is available for travel only within India .The definition of family includes Spouse, Two Children, Parents, and Dependent Siblings. Leave Travel Allowance is available for travel only within India. Travel expenses include mainly travel by road, railway or air .Under rail travel we get reimbursed for AC First class travel by the shortest route or the amount spent whichever is lesser. Economy class airfare of the National Carrier of India by the shortest route. You can obtain leave travel allowance if you travel by car and the car is owned by the central government, state government, or a local body. You can rent a car and show rental receipts from the rental agencies. You can use these receipts to claim tax deductions. You can also claim travel allowances on your bus routes. You get reimbursed only for your travel expenses and not boarding, lodging food, shopping and so on. In case of travel to multiple destinations the furthest distance is taken up for tax exemptions. You might ask what If I use my own personal car ?. You are eligible for tax deductions but only on the fuel and toll charges. If your children were born before 1st October 1998 you can claim an exemption for any number of children. Even twins, triplets and so on are accepted .Even adult children who may be 18 years of age are included as age limits are not specified. However he must not be a tax assessee. In order to make use of the leave travel allowance you need to actually travel and show proof of travel. 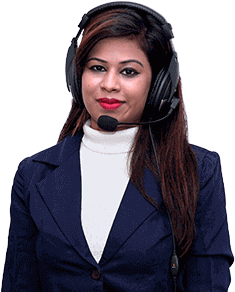 The employee needs to present documents of travel such as tickets, boarding passes, invoice of a travel agent in case we book tickets through a travel agency. These documents are necessary for the audit of income tax returns of the employee. You have to travel with your family in order to avail of these exemptions. The Government Of India has fixed a block of 4 years during which leave travel allowance can be claimed twice. The current block is the year 2010-2013.This is not the fiscal year but the calendar year of 1st January to 31st December. You can claim Leave Travel Allowance twice in the block of 4 years but not in the same year. If you don’t claim the Leave Travel Allowance in the block of 4 years it gets carried over to the first year of the next block. In this case it would be 2014-2017 block. However this LTA needs to be utilized in the first year of the block itself mainly within 1st January up to 31st December 2014. If your spouse is also working both of you can claim LTA individually but not for the same journey. You are eligible for two Leave Travel Allowances in a block of 4 years and so is your spouse. This translates to 4 LTA’s claimed in a block of 4 years. The travel allowance can be claimed alternately between you and your spouse and you can holiday in Goa each year. If you do not travel at all you will get your LTA amounts but you will have to pay tax on this amount. You can get tax exemptions only on the amount you are eligible for and the actual amount you spend on travelling. Let us consider that you are eligible for an LTA of INR 20000.Then you get deductions only if you spend the entire amount on your travel. If you spend more than INR 20000 then you are eligible for tax deductions up to INR 20000.Consequently if you spend only INR 15000 on your travel you have to pay tax on INR 5000. The exemption is available only for two journey’s performed in a block of four calendar years .Let us consider you have a four year block from the year 2006-2009.You are eligible for two tax exemptions in this four year block. However you undertake only a single journey in this block. Then you need to take a holiday in the first year of the block 2010-2013 in order to avail your tax deductions and in the block of 2010-2013 you still have your two leave travel allowances left which you can take utilize in the subsequent years. Let us consider Mr Suresh and his wife make a trip from Bangalore to Mumbai. Instead of going directly to Mumbai they go from Bangalore to Chennai then they move from Chennai to Mumbai. Similarly they return from Mumbai to Chennai and then from Chennai to Bangalore. The cost of an AC 3 Tier ticket from Bangalore to Chennai is INR 575 and from Mumbai to Chennai is INR 1300.Similarly the ticket fare from Chennai to Mumbai is INR 1300 and Chennai to Bangalore is INR 575.Mr and Mrs Suresh use 3 Tier AC Train travel throughout their journey. Their net fare comes to INR (575+1300+1300+575) which adds up to INR 3750.When we consider the total fare inclusive of his wife it comes to INR 7500.The cost of an AC First Class ticket from Bangalore To Mumbai is INR 2900 . Here we have the round trip as well as the fare of Mr Suresh wife the rate comes to INR 11600 Here even though Mr Suresh did not travel through the shortest route he can still claim a full tax exemption even on the longer route as his entire cost of travel was through 3 Tier AC train travel which is still cheaper than the First Class AC fare from Bangalore To Mumbai as shown in the calculations. Here a round trip from Bangalore to Mumbai for Mr Suresh and his wife translates to INR 11600 on first call AC Train travel by the shortest route. However even though Mr Suresh took a longer route he and his wife spent INR 7500 as they travelled by AC 3 Tier Train. Now Mr Suresh gets a Leave Travel Allowance of INR 15000.Will he be fully tax exempt? No Definitely Not .He will get an exemption of the difference between INR 15000 and INR 7500 which translates to be INR 7500.So he gets a deduction on only INR 7500 and is taxed on INR 7500.We calculate tax based on the actual travel and since Mr Suresh did not use the AC First Class Train Travel Option available to him he cannot deduct INR 11600 as tax deductibles. He is eligible only for a tax deduction of INR 7500.The remaining amount of INR 7500 is added to his total taxable Income. I would like to end this article with the famous saying " Difficulties Mastered Are Opportunities Won ".Always look out for opportunities to save on those Income taxes and grab them when they come your way. How Money Can Buy You Happiness? No. 50, Vinay Arcade, K H Road, Shantinagar, Bengaluru, India, 560027.